Translators of the Hagakure point out that the modern meaning of that term is that of a “ruffian” or an eccentric. So why was the kusemono so valuable? According to the Hagakure, a kusemono is a person who avoids trouble, keeps to themselves, and only appears when needed. Not unlike the solitary hero of samurai movies in the 1960’s, a kusemono eschews high honors and recognition and prefers to keep to their own devices until duty calls. Then, when the job is completed, they return to their solitary ways. In short, a kusemono is like a friend. 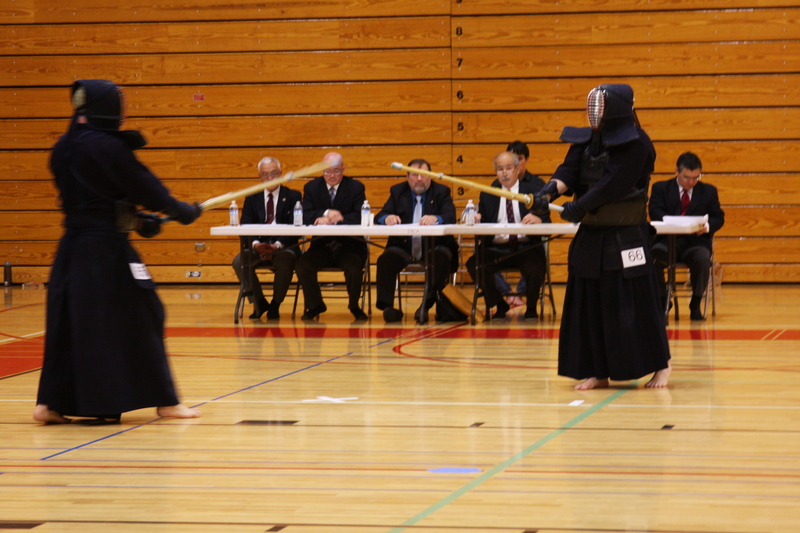 As a kendo practitioner I am attracted to the concept of being a “modern warrior” but I really don’t know what that means. The concept is seductive and empowering but mis-application can lead to ridicule and even injury. Step one in exploring this concept is understanding what is a warrior. I completely agree with Wikipedia’s definition of the term “warrior.” It is a person dedicated to the art of war and who’s world view and personal behavior is bound and defined by a personal and philosophical code of honor which dictates his (or her’s) every action. Definition of honor, in my mind, is the concept of a higher code of ethics and personal responsibility that exceeds the value of the life of the person. In effect, death should be less frightening than dishonor. Are modern soldiers warriors? The term “warrior” is applied to soldiers in the US as a sign of respect, especially in light of the terrible treatment that Vietnam-era soldiers suffered at the hands of their citizens. In reality, though, soldiers are not warriors. Their behavior is dictated by military policy that demands obedience over anything else. The reason is sensible and derives from the time of fixed-formation movement as far back as ancient times. A soldier cannot ignore an order even if it goes against his code of honor (though he can ignore an order that goes against military policy but that is not the same thing). Are mercenaries warriors? They can pick and choose their fights and have more freedom than soldiers. I suppose that is possible but most mercenaries (or contract soldiers like those who protect ships from pirates or who work for military contractors) are usually fighting for money which is not something that appears in ethical or moral codes (unless there is an Ayn Rand-themed band of warriors that I don’t know about!). I think the door has closed on the warrior concept being realized in current times but that doesn’t mean that we cannot take some of the higher concepts from the warrior codes and apply them to our lives, here and now. Budo, the Japanese concept of the modern martial arts does this really well. A person can study martial arts (whether a budo practice like kendo or the actual science of swordsmanship like one of the traditional sword styles that do not have a sport application) and just taste some of the deeper concepts that once permeated the air of those ancient warriors. In practice, one can choose to be just, treat others with dignity, and dedicate one’s life to a physical and mental practice that expands their view of themselves and the world around them. It may be just a taste of a bygone age, but it can still be a sweet and satisfying one. The Chinese TV series, Three Kingdoms, is a great program and one of the best I’ve seen about this great historical story (more here about The Romance of the Three Kingdoms). All of the actors were well-chosen for their characters and it is a real pleasure to watch them become these famous people of ancient history. Though the Tortoise Lives Long (龜雖壽). Never abandons his proud aspirations. Can live to a great old age. The BBC site ran an essay by Alistair Sooke, art critic for The Daily Telegraph newspaper. In it he detailed some of the art from ancient Rome that was shocking by modern standards as well as that of our Renaissance fore-bearers. Some of the artworks were sexual in nature while others were violent. Frankly, I found his tone to be stiff and uptight, as if somehow our ancient ancestors were barbaric (though I think he purposely did this in order to create a false sense of surprise or outrage). Yet he also acknowledges that they were learned and, in the broadest sense, perhaps; civilized. So why the apparent tension between shocking sexuality, violence and the existence of all of the trappings of civilization? I think the answer is that we humans have two hearts, beating at different paces. One is a slower, more careful, pace that allows us to build civilizations, create written languages, etc. The other is a darker, more passionate or base heartbeat. This is what drives our personal desires, inclinations to personal violence, sexuality, and even our dreams. Our Roman ancestors, living in time where man interacted more closely with his neighbors (in cramped ancient cities) and with nature (in the vast forests and waterways of an undeveloped world), felt the tension of these “two hearts” and their art and literature reflected that. Even now, we feel this too. Our desire for a brutal punishment for those who hurt children or revenge for a country that attacked us in war. Yet we also know that we cannot live in a dark world of passions. We also need the more rarefied air of compassion and philosophy that our Roman ancestors (and our ancestors in all parts of the world) also needed. Our ancestors knew this and they wrote thoughtful poems, built societies based on law and vast cities; while also indulging themselves in the more base arts.